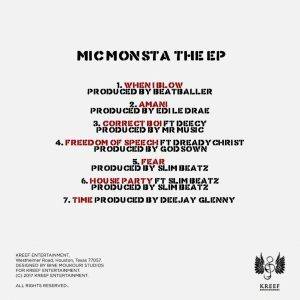 Kreef Entertainment frontline act Mic Monsta has resurfaced with a new commercial and festive tune titled “Freedom of speech” featuring DREADY CHRIST who comes with such an addictive refrain. The “Fear ” crooner further proves his lyrical ingenuity and unmatched punchline creativity. 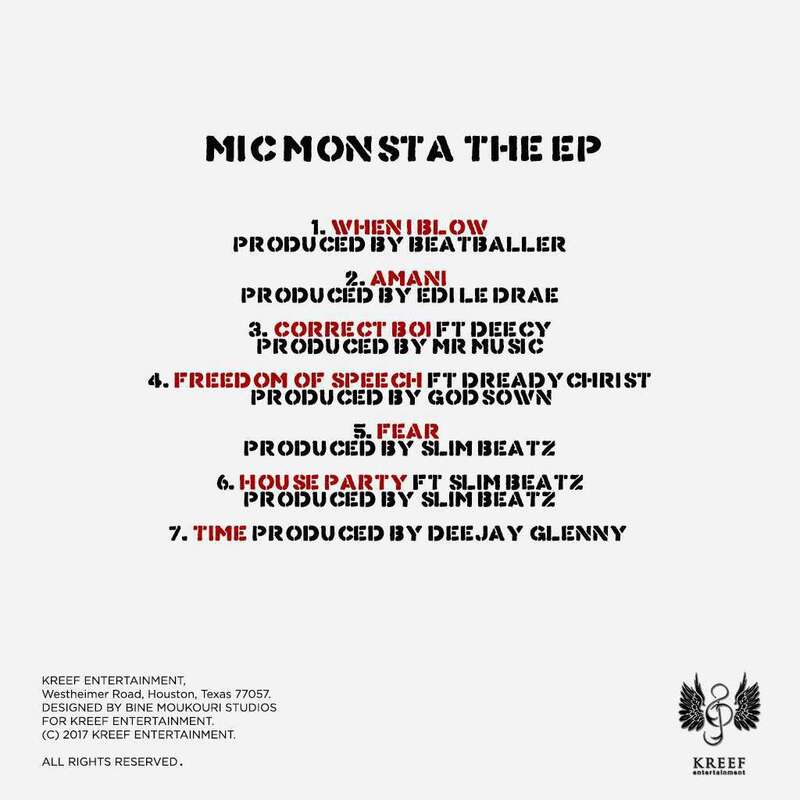 Kreef signee Mic Monsta is fast establishing himself as the dopest lyricist from Cameroon. No gain saying, he caught the attention of Jovi and earned his endorsement. The Kumba-raised rap prodigy after thrilling Africa with “Fear”, has churned out a melancholic and satirical tune titled “Kwata state of mind”. 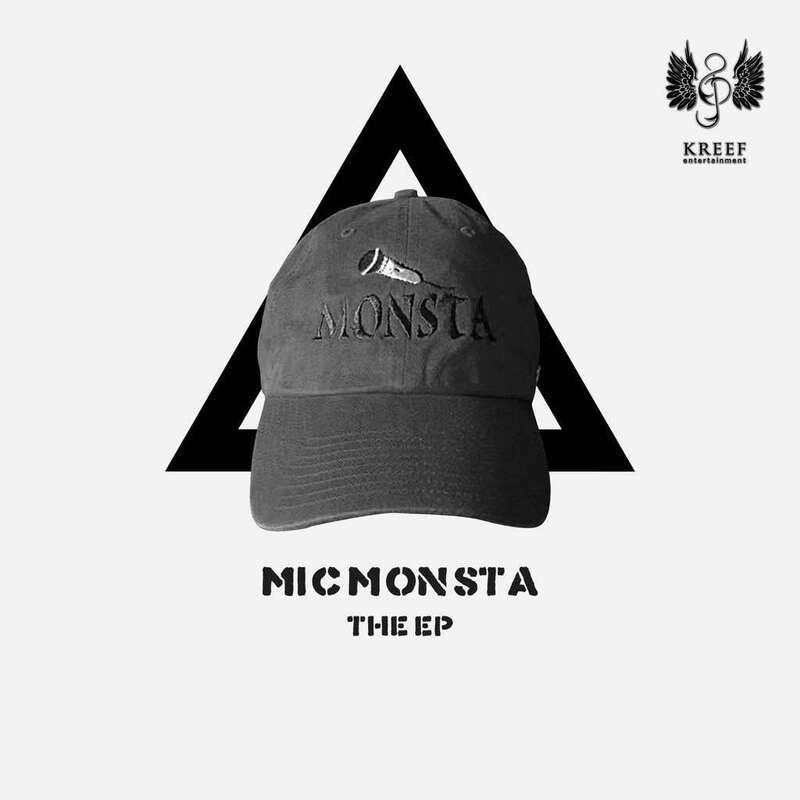 In this emotionally profound opus, Mic Monsta delves into the theme of societal regression, hard knocks and the agony redolent of the streets. The video, creatively directed by Dr Nkeng Stephens depicts a story of a child who wallows in pernury yet pessimistic . The video is breath-taking. Mic Monsta’s lyrical dexterity has caught the attention of music lovers. His skillful use of metaphors in his songs make him outstanding . “Fear” is his first tune under Kreef Entertainment imprint . The thumping rap tune comes with a well-crafted video by Dr Nkeng. Let’s enjoy creativity at it’s acme.